1YRS Suzhou Golden Eagle Machinery & Equipment Co., Ltd.
CHOCOLATE BALL MILL MACHINE is a special machine for fine milling chocolate mass and it's admixture. Through the impact and friction between the material and the steel balls inside the vertical cylinder,the mass is fine milled into the required fineness. And if it works with chocolate conche, not only the efficiency can be improved greatly but also the taste will be softer. 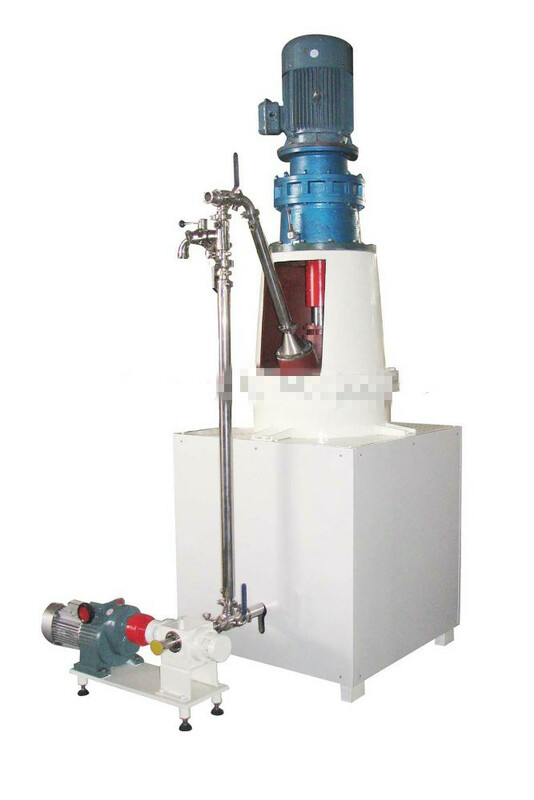 CHOCOLATE BALL MILL MACHINE is a special machine for fine milling chocolate mass and it's admixture. Through the impact and friction between the material and the steel balls inside the vertical cylinder,the mass is fine milled into the required fineness. And if it works with chocolate conche, not only the efficiency can be improved greatly but also the taste will be softer. 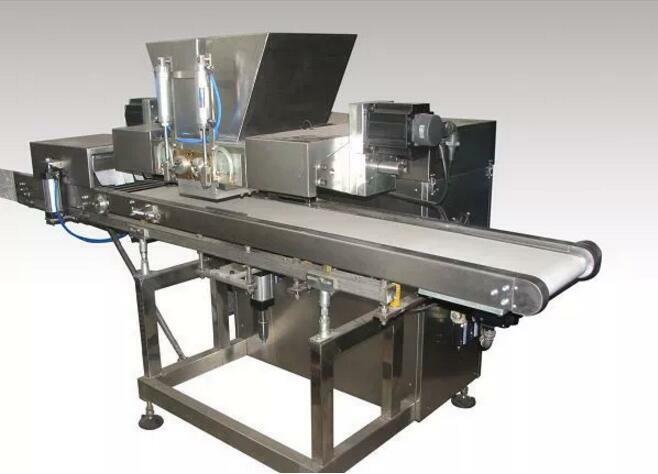 Suzhou Golden Eagle Machinery & Equipment Co., Ltd, with a history of more than 10 years, specializes in manufacturing complete line of chocolate equipment. We are located in Suzhou City, which is an ancient cultural town with a history of over a thousand years. Near our factory are Taihu Lake, Lingyan Hill and Tianping Hill. Adhering to the principle of "Golden Eagle Machinery, the Elite Machinery Enterprise", our brand new workshops and offices of our factory are embosomed in the hills, which makes an excellent surrounding. 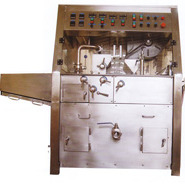 Our factory is equipped with complete processing facilities. Furthermore, we have a strong technical force in designing and manufacturing. In 2003, we successfully got ISO9001-2000 certification. 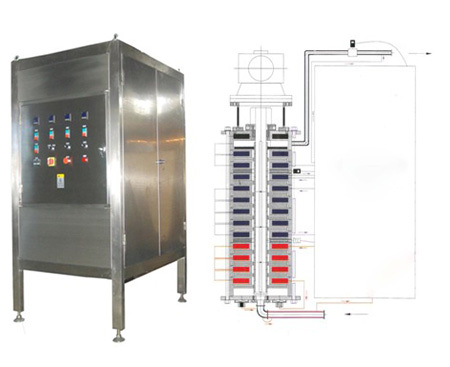 In May, 2006, we successfully gained the CE certificate for our chocolate manufacturing machines. Our products are sold well all over China as well as U.K, France, Southeast Asia, the Middle East, Australia, Russia, and Africa etc. Based on the tenet of "Product Innovation, Quality Priority, and Service Excellency", we are able to satisfy our customers' unique requirements for chocolate systems. If you have any questions, please contact our sales department. We will try our best to satisfy our customers' individual needs. We are willing to cooperate with our new and old customers in the confectionary industry, looking forward to a bright future. Suzhou Golden Eagle Machinery & Equipment Co., Ltd.